Vitamin B12, also known as Cobalamin, is a water-soluble vitamin that plays a key role in the normal functioning of the brain and nervous system. Vitamin B12 is involved in the formation of blood cells, DNA synthesis and energy production. It increases your concentration and boosts your memory system. It delays ageing and protects the immune system. Vitamin B12 is also used to treat several diseases like depression, anemia, heart disorders, diabetes, AIDS, swollen tendons and bowel diseases. Pernicious Anaemia- The most common cause of Vitamin B12 deficiency is Pernicious anaemia. It is an immune condition that is caused by the lack of a protein called intrinsic factor that is needed to absorb Vitamin B12 from the food into the body. It is more commonly observed in older people. Vegetarian Diet- Those who follow a strict vegetarian are at a greater risk of developing Vitamin B12 deficiency. The rich natural sources of Vitamin B12 are eggs, meat, fish and dairy products. 1. Chronic Fatigue- With Vitamin B12 deficiency, there is a persistent feeling of exhaustion and tiredness. 2. Incontinence- Due to Vitamin B12 deficiency, the bladder is incapable of holding urine and leakage occurs. 3. Shortness of Breath- Shortness of breath or slow breathing is mainly caused due to B12 not being properly absorbed by the body. 5. Hallucinations and Psychosis- One of the extreme symptoms that can occur due to Vitamin B12 deficiency is hallucinations and weak mental conditions. Does Vitamin B12 lead to weight gain or weight loss? No! Vitamin B12 deficiency definitely does not lead to weight gain. One of the major symptoms associated with Vitamin B12 deficiency is weight loss. Weight loss occurs when the body does not have adequate amounts of Vitamin B12 in it. Vitamin B12 generally affects the digestive system at first, leading to a lot of indigestion and nausea-related problems, causing a lack of appetite, vomiting and weight loss. If your stomach has been hurting too many times lately, this can be a symptom of Vitamin B12 deficiency. Unexplained weight loss may make you happy and may seem like a blessing, but if weight loss occurs without any diet or exercise then it is something to worry about. It may be due to Vitamin B12 deficiency. The first impact Vitamin B12 deficiency has on the body is the immediate weight loss that is visible. 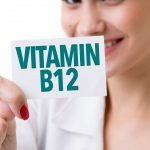 How to get more Vitamin B12? 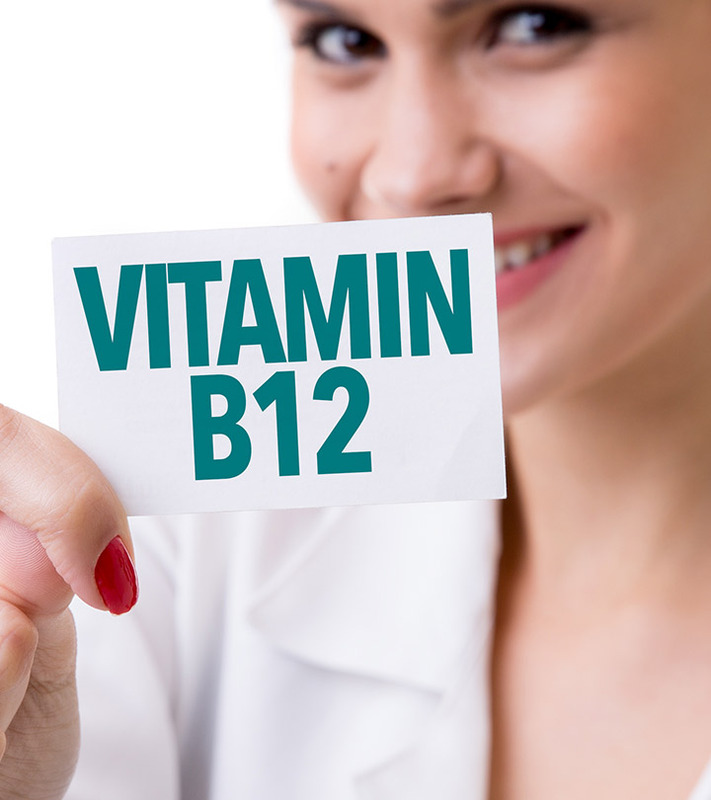 The best and natural way to get Vitamin B12 back in your body is to eat foods that contain it. Food rich in Vitamin B12 are meat, eggs, fish and dairy products. Apart from these natural sources, you can get Vitamin B12 capsules, syrups and also health drinks that assure to bring back your Vitamin B12 levels back to normal. Vitamin B12, being the most essential vitamin in your body, protects your immune system and keeps your body healthy in general. Make sure you have enough Vitamin B12 in your diet and say goodbye to weight loss instantly!